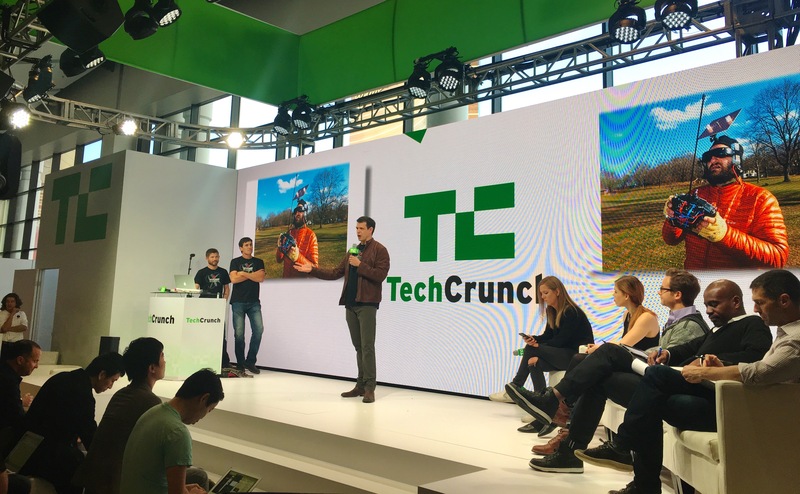 As you may have noticed from our social channels, Vantage had the opportunity to join TechCrunch at CES for its Hardware Battlefield competition. It was a busy week of introducing Snap to CES attendees, giving flight demos, preparing for our TechCrunch presentation and checking out other emerging technologies. TechCrunch gifted us a booth space in Eureka Park — where hundreds of other startups were exhibiting— and gave us six minutes to present on the main stage with 14 other startups. It was exciting to introduce Snap to a larger audience and get feedback from a panel of prominent industry experts. We enjoyed walking the show floor and checking out other emerging technologies like Nikon’s new, 360-degree camera and the machine that will allow you to create custom latte art — we’re a team of avid coffee drinkers. But in looking at the competition within the drone market we’re more confident than ever. Snap brings a unique combination of portability, safety and ease-of-use, not to mention the 4K sensor and custom micro-gimbal, which will allow for exceptional footage. Snap is extremely well positioned within the market and we’re working tirelessly to bring the product to your doorsteps this spring. How do FAA regulations impact Snap? According to the FAA, owners must register their Small Unmanned Aircraft System (sUAS) if it weighs more than .55lbs (250g). Snap weighs 1.1lbs (500g), which means that if you pre-order or purchase Snap you must register with the FAA. To register, visit this website and create an account. Until January 20, 2016 the registration process is free. After that date the registration fee will be $5. We encourage all of those who have pre-ordered Snap to register now in order to avoid those costs. As always, thank you for your support! We look forward to giving you more updates about Snap in the coming months.